The Pierce County Library System is seeking a community-focused, engaged leader to be a member of its Board of Trustees. The successful applicant will help shape and guide library service throughout unincorporated Pierce County and 15 cities and towns annexed to the fourth largest library system in Washington state. The Board of Trustees oversees the Library System’s commitment to thoughtfully invest the public’s funds in highly valued library services?services the public selected as their top priorities. Under the Library’s Strategic Framework, a multi-year plan to guide and direct the Library’s work, the Board of Trustees administer the overall direction and fiscal management of the Library System. Input from thousands of residents shaped the Strategic Framework, which resulted in three focus areas for library services: learning, enjoyment and community. 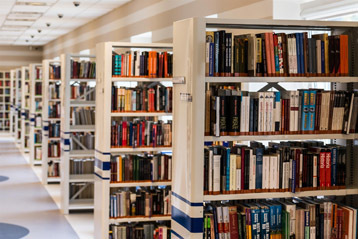 Through the framework, the Library supports residents’ growth and curiosity, offers excellent reading choices, and connects and strengthens growing and changing communities. Interested individuals may apply at trustee.pcls.us or at any Pierce County Library. Applications must be received by Tuesday, April 30, online or to the Pierce County Library System, Attn. : Executive Director’s Office, 3005 112th St. E., Tacoma, WA 98446.